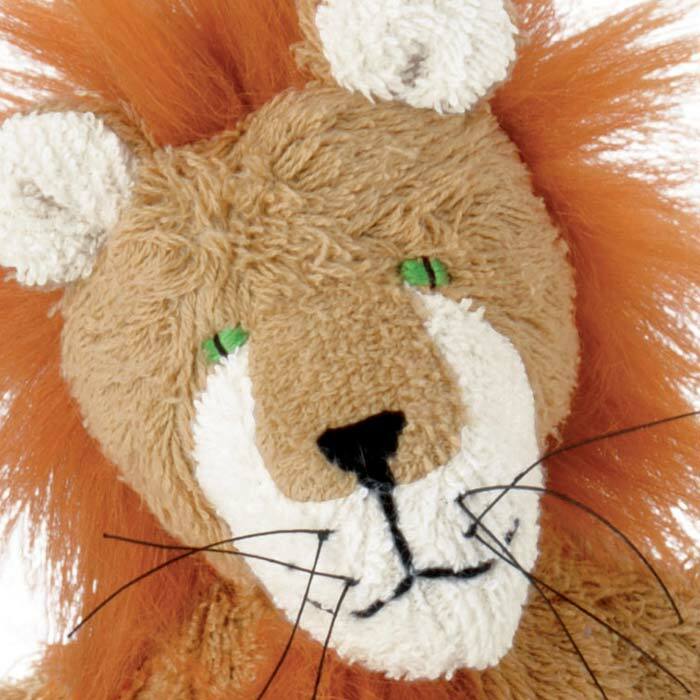 The lion hand puppet is handmade from soft cotton terry fabric, has contrast fabric on its face and ears and, of course, he sports a furry mane. His legs dangle freely. 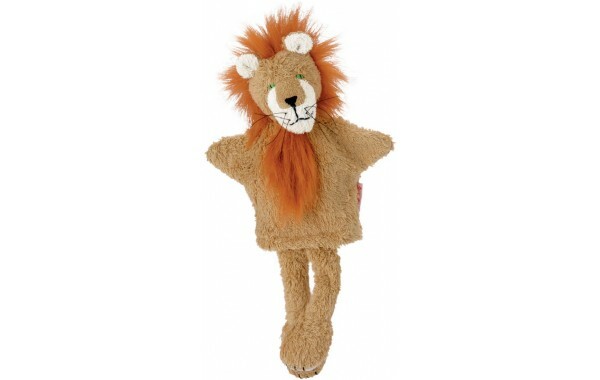 Puppet theater play for older children encourages imagination, concentration, listening, cooperation, and develops storytelling and language. 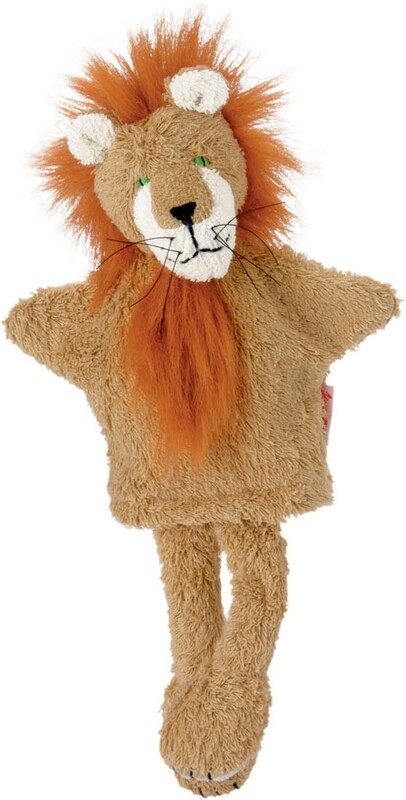 The lion is also an appealing playmate without a hand inside.